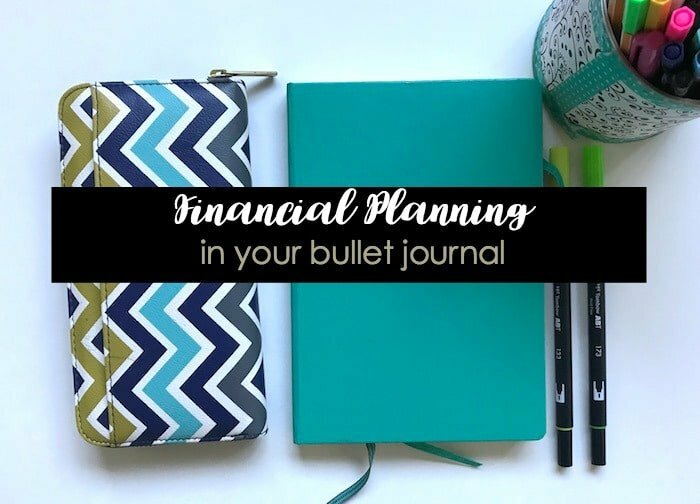 If you haven’t added financial planning to your bullet journal, now is the time to start taking control of your finances. 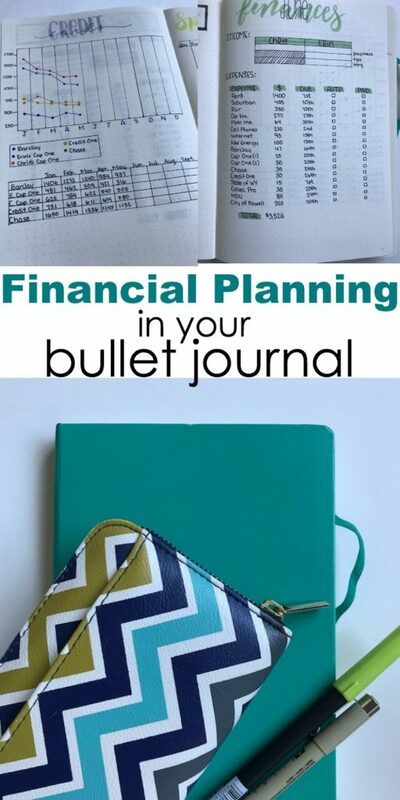 Track where your money is going, your expenses, and plan out your monthly budget. Don’t worry. I’ll help you set it up if you’re feeling lost. I won’t sit here all high and mighty pretending I have a degree in finance, a $25,000 savings account, and no debt. Actually, my saving account is collecting dust and my credit card debt seems to be strangling me. I’m not the person you want to hire to manage your money. But, I have been using an effective strategy to take control of my finances. 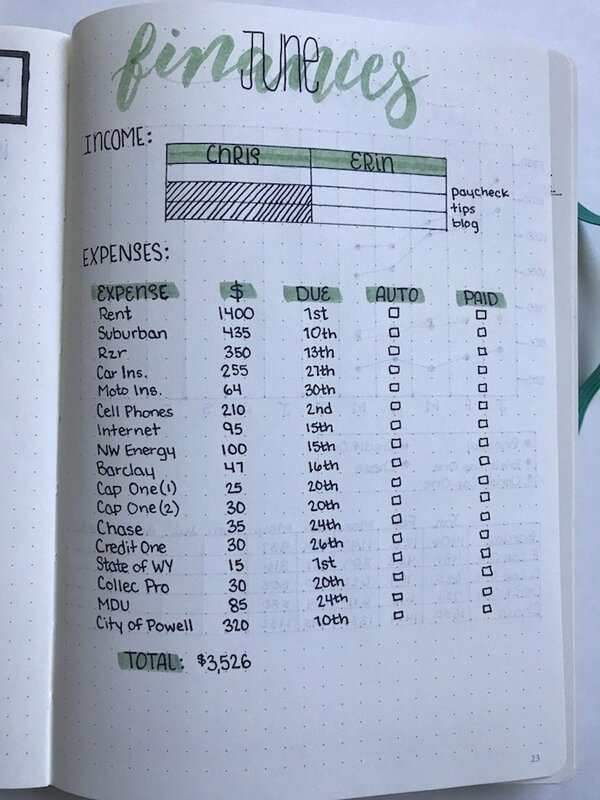 I use my bullet journal to track my monthly expenses, income, and spending habits. A large amount of my money goes to coffee and Target. 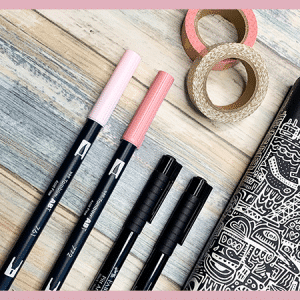 I have a strong pull towards cute pens, eyebrow kits, and polka dot journals. But, since tracking my spending habits, I’ve been able to cut out some of the compulsive buying and be more aware of my finances. Why am I telling you that I’m not the brightest with money? Because I want you to see that it’s possible to take control of your finances even if you don’t attend some pricey conference or buy a self-help book. 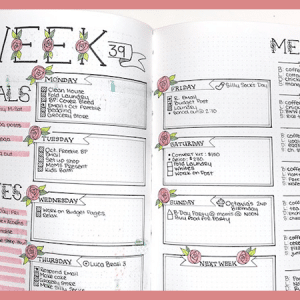 The fabulous thing about a bullet journal is it allows you to track things and set goals in one place. You can track your progress, see trends, and make changes. I can’t express to you how life changing it has been for me. And that’s why I write about it. I know it can be beneficial to other people. 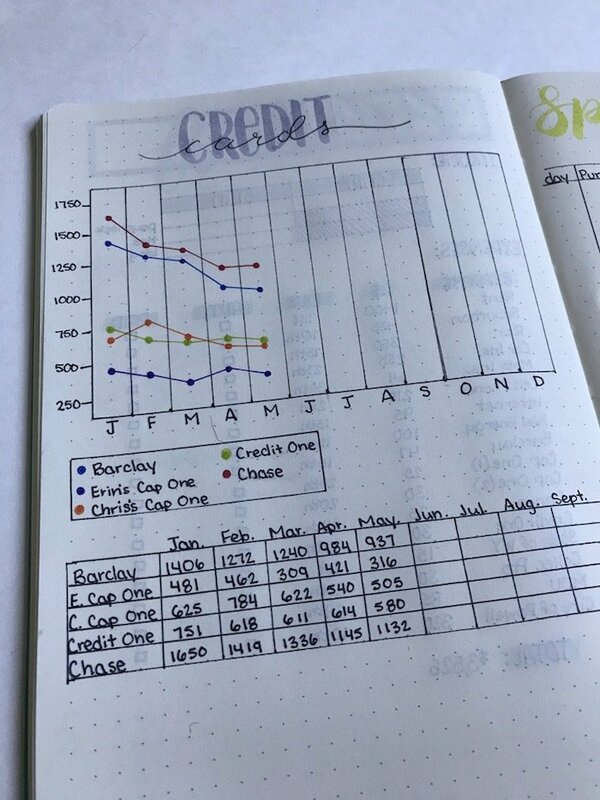 You can add your financial planning pages anywhere in your journal, but I think it’s best to add them in with your monthly pages. Set aside one page for expenses and income. After you add up all of your monthly bills and subtract them from your monthly income, you will be know exactly how much money you have left over. At the top of this page, make a box to put your income down. If you aren’t on salary, what is the amount of your normal check? Now, times that by the number of paydays you have in the given month. If you have a job that gives you tips (like me), estimate your tips. I usually underestimate just to give myself some room for error. After you have your income down and estimated to the best of your ability, you want to make a list for your expenses. Make a row for headers. You’ll want to start with the name of the bill (ex: rent, phone, utilities, etc). Then add more heading on the same line: amount, due date, auto pay, and paid. The last two headers are to be checked off as they apply. Fill out your chart with all of your monthly expenses. Total the amount at the bottom. Now, subtract the total of your expenses from your income. The remaining balance is leftover money. 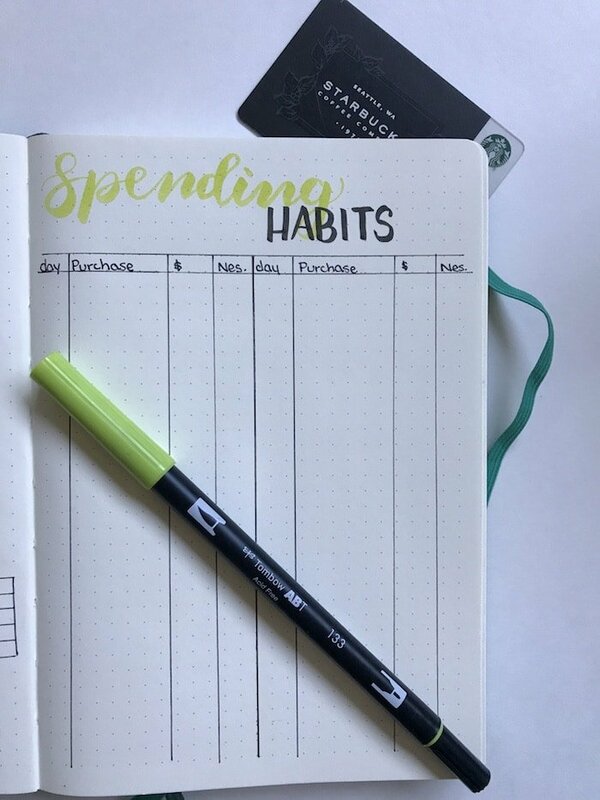 Next, make a second page to track your spending habits. This is where you will track every purchase you make throughout the month. I know, it sounds like a lot of effort. It is. But, I swear by this. If you force yourself to write down every purchase you make, you will find yourself questioning unnecessary buys. Like the previous page, you want headers. Include what you bought, the amount, and the date. You can also add a column of checkboxes to signify it if was a necessary purchase like gas or food, or something you didn’t really need. I’d like to say my coffee addiction is a need, but I know I can make coffee at home. So, coffee is noted as an unnecessary purchase. This method will work… if you do. If you make these spreads and then turn around and don’t use them, it won’t help your financial situation. Write down your purchases. I promise it’s a game changer if you’re willing to stick to it. 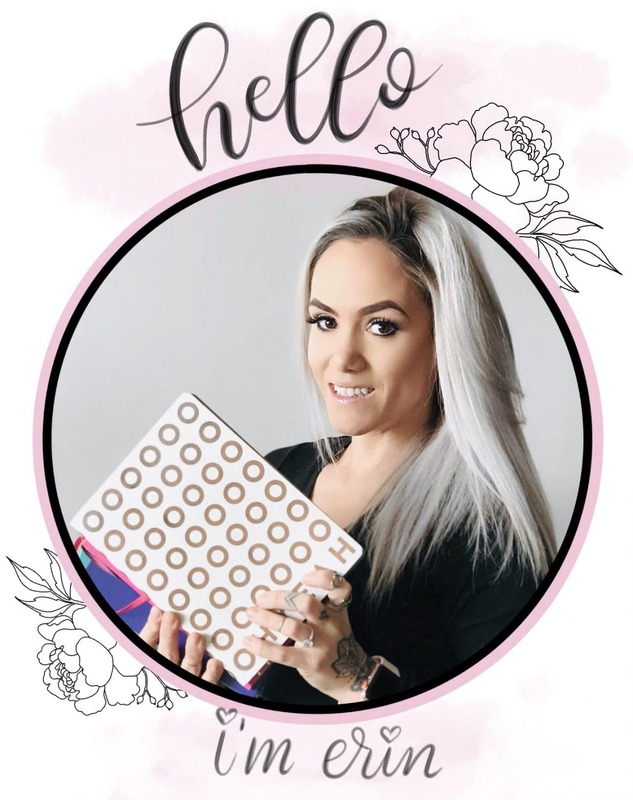 Get access to my VIP Library full of printable bullet journal freebies by joining my mailing list! Excellent help. 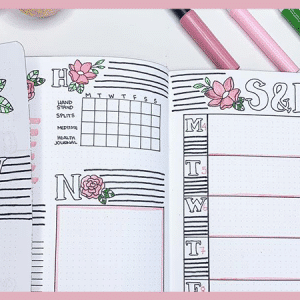 I love this and since I am moving into my new journal, I have been on the fence about a separate book for finance or just add this in. I have a franklin covey binder and I just don’t want it to be so heavy I won’t take it with me everywhere. I think I can work it in for each month. Hi Judi! I’m glad you like it and that it’s going to work for you.